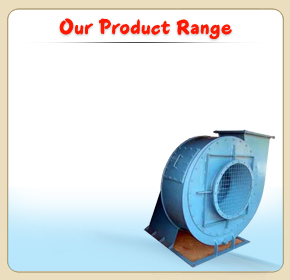 OEM , industrial and commercial fans / blowers / ventilators sales. Suppliers of high capacity industrial duty heavy-gauge blowers and fans, fan ventilators for tough chemical applications, stainless steel SST fan blowers, FRP fiberglass ventilators and fans, combustion pressure blowers, vacuum process fans and blowers, general ventilation fans, special appllications OEM ventilators. AB BLOWER CO. is one of the leading manufacturer of air handling equipment: Centrifugal Pressure Blowers, Industrial Fans, Induced Draft Ventilators, Forced Draft Fans, Primary Air Blowers, DIDW Fans, Axial Flow Ventilators, Power Roof and Wall Ventilators, High Temperature Blowers, Explosion Proof and Spark-Resistant Fans and Blowers, Fan Dampers, Fiberglass FRP Fans, Stainless Steel Blowers, OEM Fan / Blower wheels, etc... for industrial air handling fan / blower users. Suppliers of industrial regenerative side channel blowers, forward curved pressure blowers and fans in stainless steel, alloy, cast aluminium, cast iron, polypropylene and FRP construction. CCanada Blower series of high efficiency airfoil bladed fan wheels is acknowledged as the most efficient fan type for clean air applications. The double width fan configuration described boasts an enviable reputation for fan performance and reliability in a multitude of HVAC applications plus many industrial supply or exhaust ventilation systems. With a smooth pressure curve, major changes in pressure will cause only minor changes in volume. The broad, high efficiency fan curve offers extensive selections from each fan size and also a wide operating range. The smooth stable air flow over the entire perform-ance range is the result of Canada Blower deep spun inlet, wheel cones and generous ventilator housing proportions. Fan sound levels are also diminished with the improved inlet air glide path. Rugged blower wheels of continuously welded heavy gauge steel provide maximum integrity and longevity. Canada Blower wheels are also designed for high-cycle duty common with VFD control. Impeller assembly designhas been verified with a finite element analysis. Spun steel fan wheel cones optimize air flow while precision balancing assures dependable vibration-free operation. Strengthened ventilator housings have continuously welded heavy steel construction with rigid steel bearing supports. Stiff bracing resists distortion caused by sudden blower air flow variations. For economical performance at partial loads and precise air control for systems needing to maintain a positive or negative pressure at minimal flow, the Inlet Volume Control (IVC) is recommended. Adjustable guide fan vanes pre-spin the entering air to produce the desired volume of air while maintaining the full amount of block off pressure. Inlet vanes are mounted entirely within the blower inlet cone. The IVC is suitable for automatic or manual operation. Blower outlet dampers are offered for all classes of fans, outlet dampers feature low initial cost and simple operation. However, they do not offer as large a horsepower savings at reduced air volume as the IVC. Fan outlet dampers have punched flanges on both ends to simplify fan and duct connections. Damper shafts are atright angles to fans haft when possible. Parallel acting blades are standard with opposed blade design optional. To mount damper on the fan, a punched flanged outlet is needed. FIndustrial ventilators and fans, process pressure blowers, regenerative pressure blowers; industrial; process and commercial heating; ventilating and air-conditioning equipment. Engineering of industrial high pressure blowers and ventilating fans.